I love the character of Little Myrtle, and you’ll get to know her better through these dailies, scanned from newspaper clippings. I’m starting out just posting a few at a time, as the first few weeks of the strip in this collection skip quite a few dates. There IS a little bit of continuity, but it’s mainly the adventures of Myrtle, Freddie and Susie (her parents), Sampson (her lisping boy friend), Slug (her brother), Alice and Archie (the birds in the 1-25 above) and the funny canine characters Bingo and Junior. The Sunday pages mostly “star” the 3/4 staging in one large panel, but the dailies are more intimate, and Myrtle’s tomboy, energetic personality comes to the fore. I like the way Fisher uses Myrtle’s hat as a “bubble” around her face, you can’t tell it’s much of a hat until she turns profile, but that’s part of the abstraction in Fisher’s cartooning. Like Patrick from 1967, Myrtle is a disruptive force in her parents’ and neighborhood’s lives. UNlike Patrick, she is never mean or mean-spirited, just a lot of fun. The characters in “Right Around Home” know they are in a comic strip, and comment occasionally to the reader about that. A lot of people seem to enjoy this comic, hope you will too. The cat character in the strip is named “Hyacinth”, by the way. Recent finds in the L.A. Jr. Times! 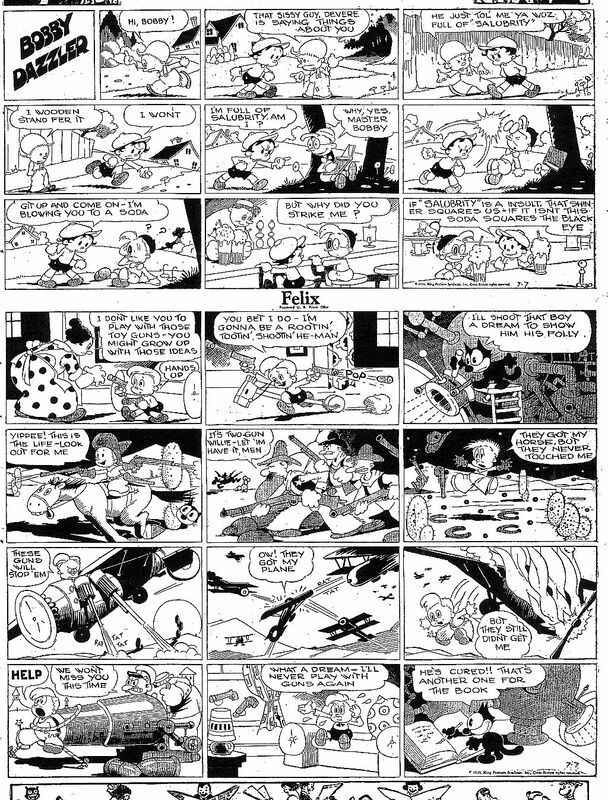 The first two Fred Moore comics from the Junior Times, 1-17 and 2-7-1926. The last panel in the 1-27 is illegible. 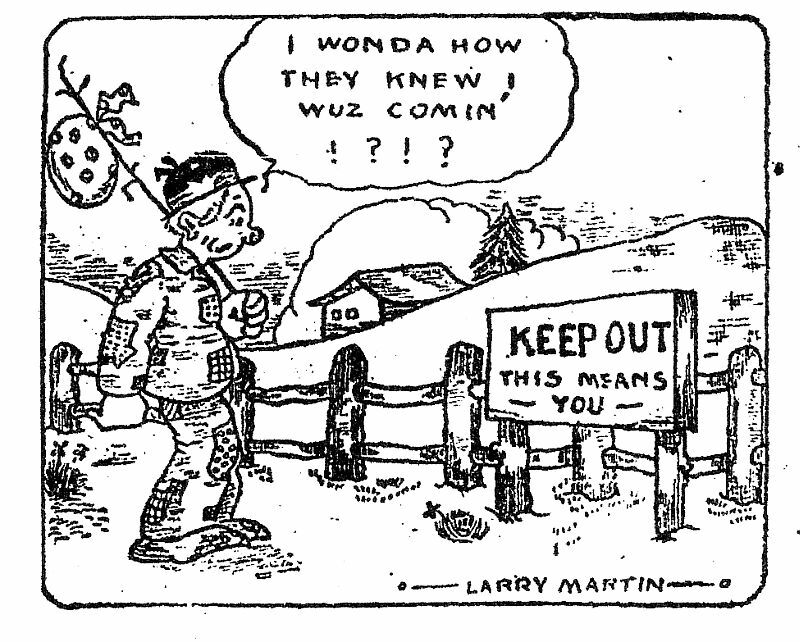 The earliest Larry Martin comics, from 11-15-25, he called himself “Buster” in the first one. Cartoonist Alex Perez makes Chase Craig into one of his characters, 2-7-26. George Manuell 12-13-25, Ray Patin 12-20-25, Frank Tipper (?) 11-8-25 Manuel Moreno doing a parody of the 1925 hit: “Doodle Doo Doo” as a salute to the Times Junior Club, 12-27-25. It just gets better as it goes along folks! Too many interesting comics to post! In Barker Bill this time, from 4-4 to 4-17-1955, the Cold War moves in on the story. Russian Spies Dripsky and Bugovitch want to cop Col. Whetwhistle’s Boo-Boo Tonic to disguise themselves as plants to be placed in Washington D.C. hotel lobbies. That way, they can overhear state secrets! Barker Bill and Puddy are on the job, though, and foil the spie’s plot. Puddy is made an honorary member of the K-9 Corps for his service. The supply of Barker Bill Sundays just about dries up this time, in the 4-10, Puddy is scratched up by a lot of alley cats, and in the 4-17, Puddy tries to eat a dinosaur skeleton. In Felix, from 7-8 to 7-14-1935, the serpent vine story continues as Danny escapes and saves Felix. Felix is given credit for the discovery of the vine by the Professor, but in the 7-11, Felix could care less about his discovery, he just cares about his recovery. A sailor who is an expert wrestler tackles the vine next. 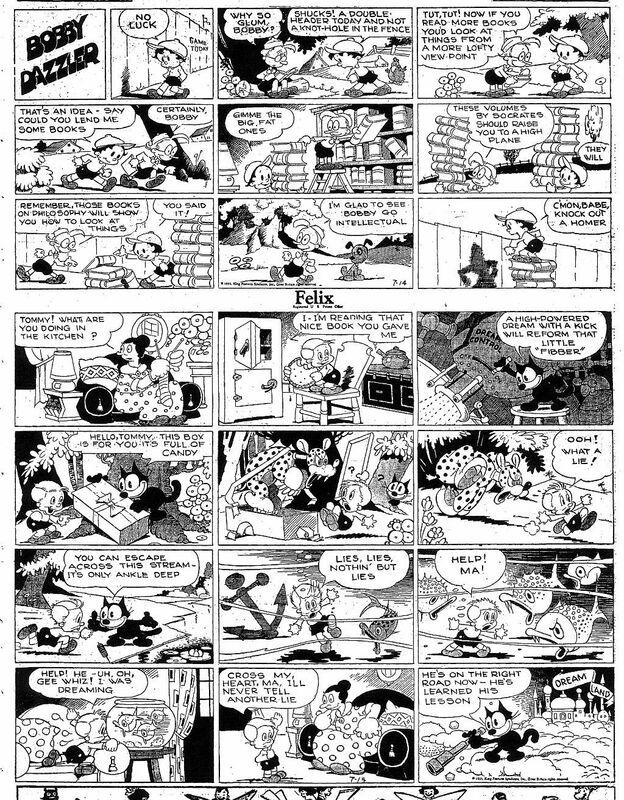 In the Sunday, Felix again plays God from Dreamland heaven as he changes the life of Tommy, the little lier by giving him a fantastic nightmare. I like the panel where the God-Devil Felix lies in wait for Tommy with a Candy Box containing a vicious leopard! Krazy from 5-19 to 5-24-1941, features the brick, both rubber and clay types. I love the gag in the 5-24 where Mrs. Kwakk-Wakk asks Krazy if he ever gets headaches from all the brick punishment that his cranium takes. Krazy responds by using a barrel to protect his body! What a mahogany head! Speaking of cats, my cartoon cat, who now has named himself “Itza”, rebelled against me and escaped to Facebook. I don’t feel comfortable on Facebook, I don’t like to be that easily available on the ‘net, it scares me! But Itza is fearless where the Internet is concerned. He’ll still visit here from time to time, but if you want to see him all the time and maybe write to him, go to www.facebook.com/someothercat and you’ll see what the great webmeister Charles Brubaker and Itza cooked up! There are some drawings and cel set-ups from TMBSOC there as well. I really didn’t want to post any links to Facebook, but Itza threatened me with a loaded cactus. In reading the L.A. 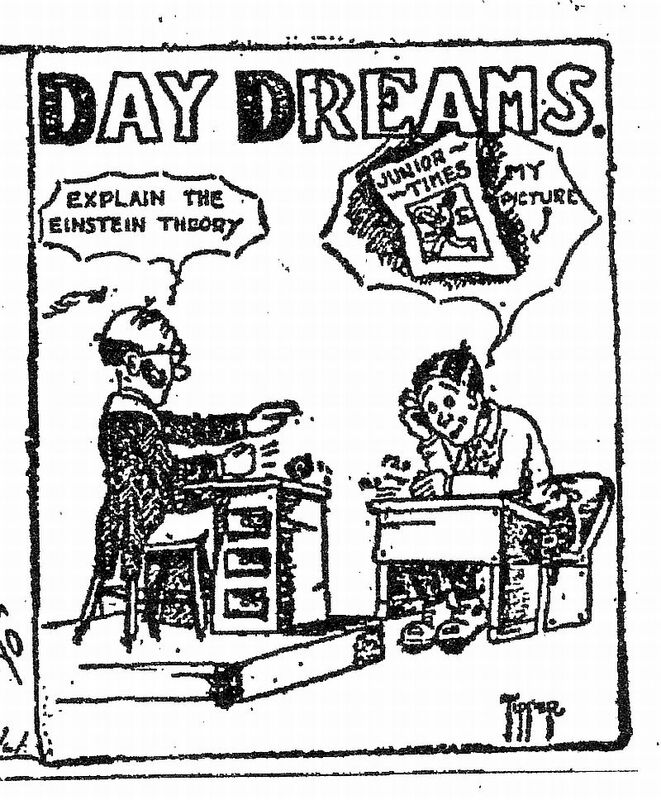 Junior Times through Proquest, I keep coming across the childhood drawings of famous cartoonists. 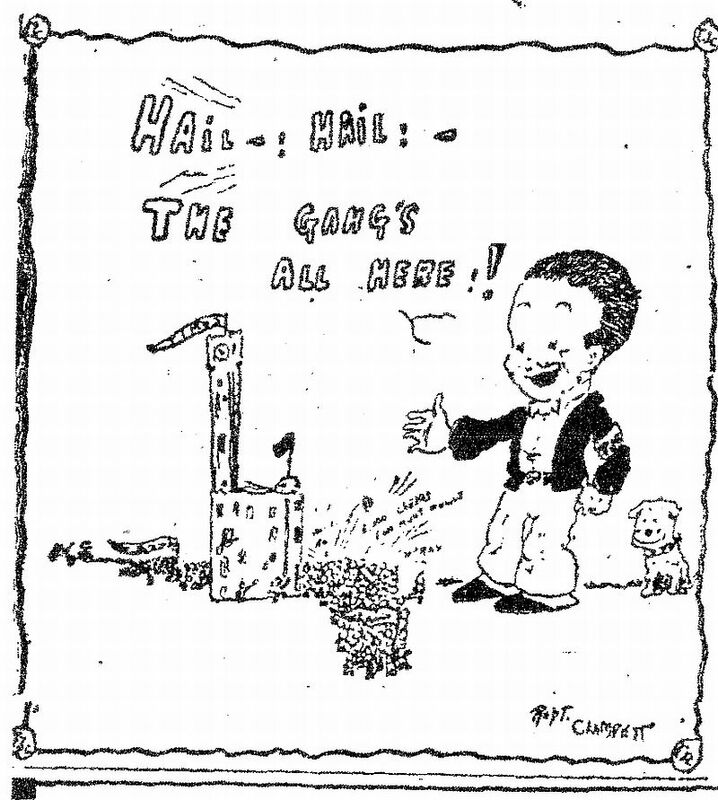 Now I’ve found the earliest Bob Clampett drawing published in the Junior Times, June 21st, 1925. 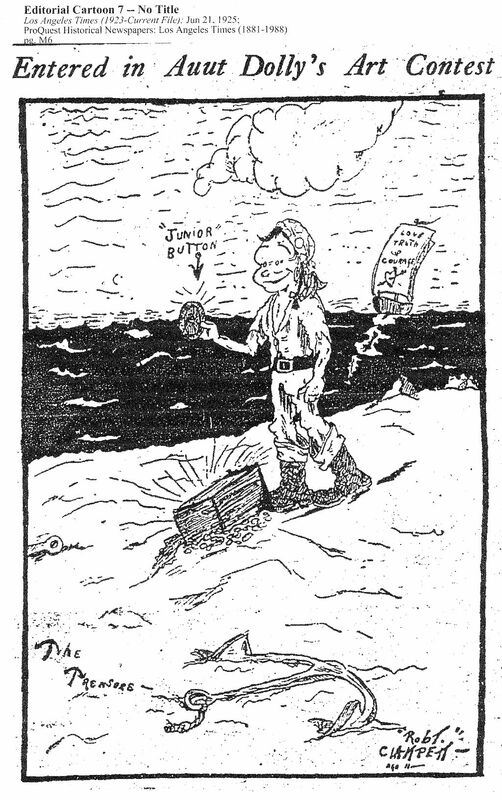 It appears to be a self-caricature of the young cartoonist as a pirate, finding a Junior Times Club button on a desert island. The drawing is labelled: “The Treasure” and was drawn by Bob at the tender age of eleven! 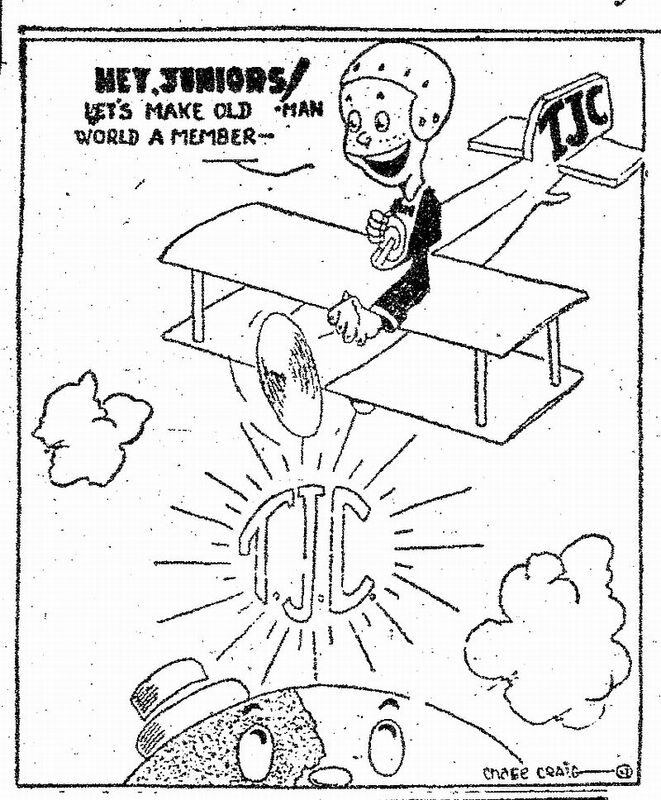 By 1925, the Times Junior Club, or “T.J.C.”, was a thriving org., loved the world over, or at least as far as Chicago, where the The Chicago Tribune, which contributed many features and comic strips to the L.A. Times, held sway. They gave cash prizes for original stories, poetry, art and comic strips to the children who sent them in to the Times. They helped poor children, gave big dances at the Times building for all the kids, threw elaborate Christmas parties, and made it a lot of fun just to be a kid. 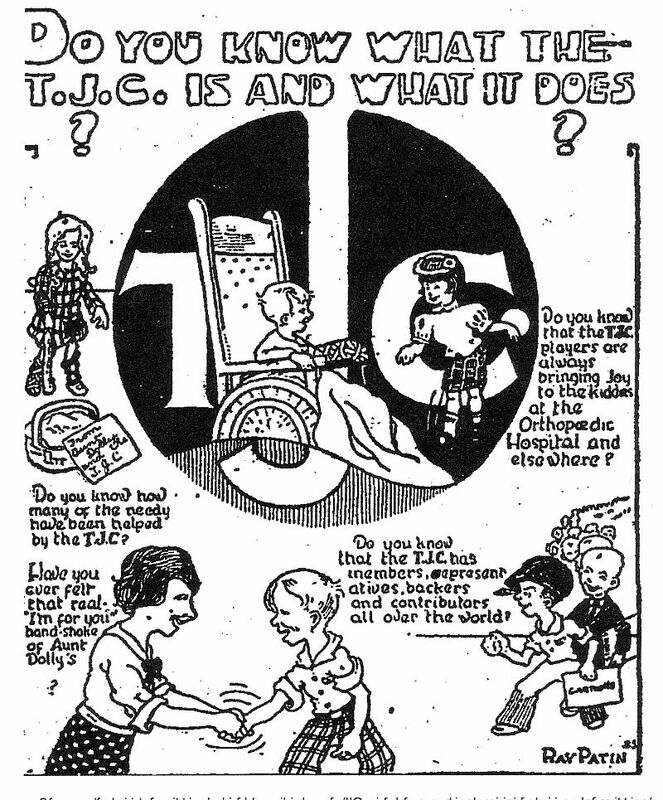 A lady named “Aunt Dolly” was the lynchpin of the T.J.C., and seems to have been well-loved and respected by the aspiring cartoonists and authors in the Junior Times audience. 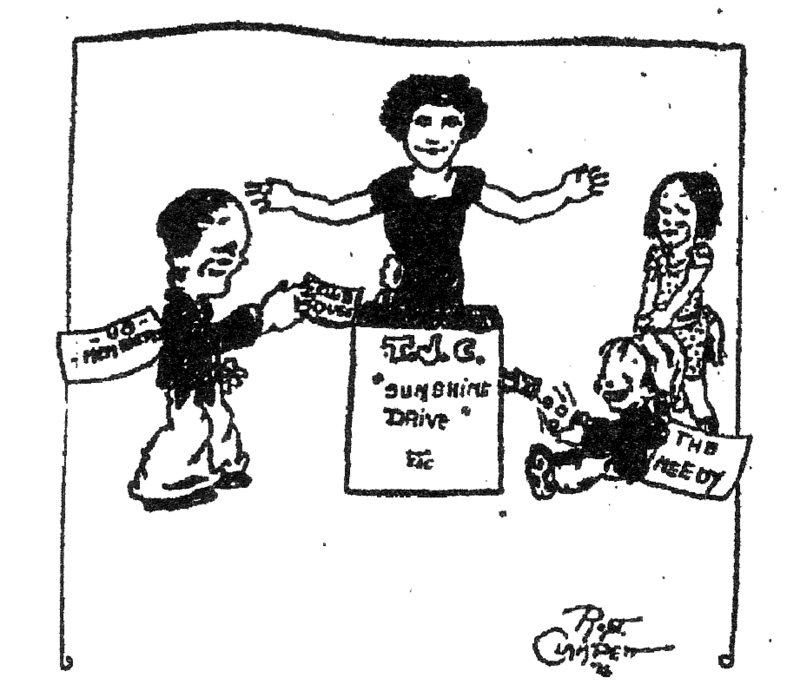 This little strip, from June 12th, 1925, is the earliest actual comic that Bob Clampett drew. It’s especially interesting, because at age eleven, Bob already thought that little babies and black characters were funny. 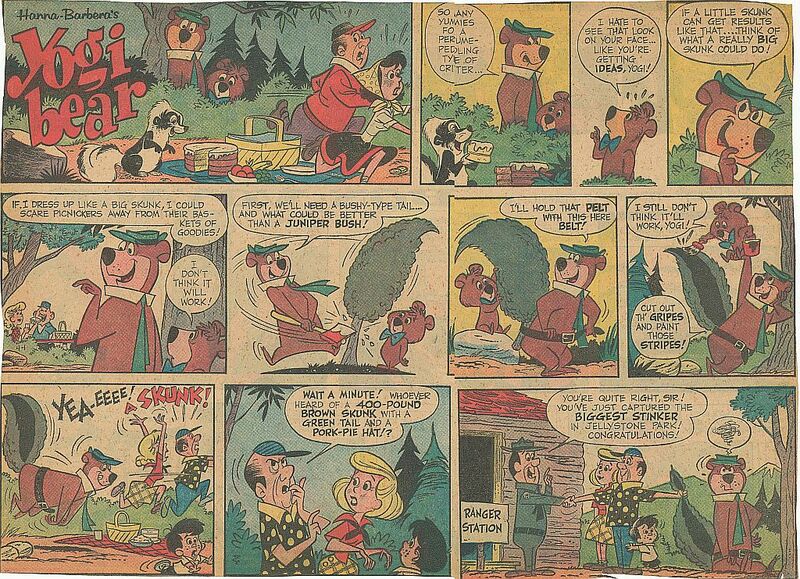 The style of art seems patterned after Hardie Gramatky’s, but unlike most of the comics that the Junior Times published, Bob is trying to do a gag with his strip. It’s interesting how the little black baby, “Rastus Sampson”, resembles Bosko, long before Bosko was in production. 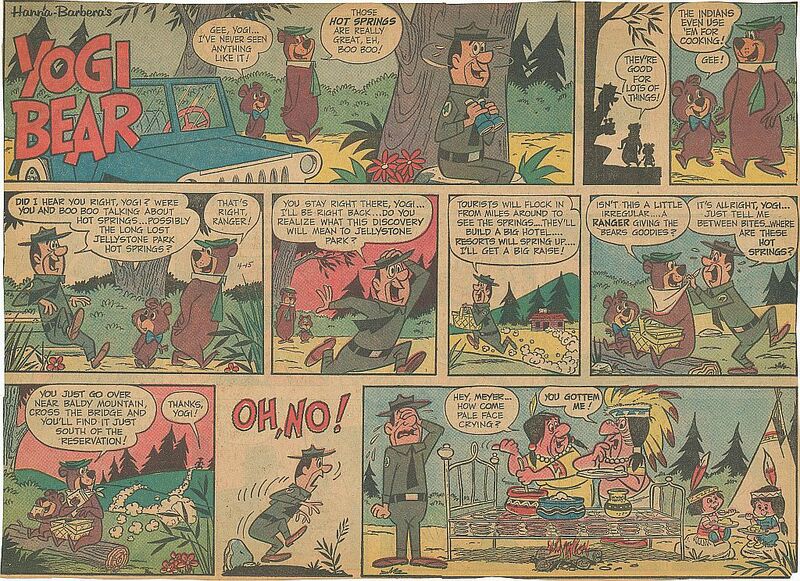 The timing between the third and fourth panels is also quite sophisticated for an eleven year old kid. The reader can imagine the outrage of the dowagers in the baby contest audience as they chase the British dandy up the telegraph pole. There is some fine print in the Dandy’s dialog balloon that I can’t make out, after “But my dear ladies–“. This strip anticipates the “Black Beauty” gag in “A Coy Decoy”, and of course, “Baby Bottleneck”. These three little panels were published, July 19th, Sept. 25th and June 28th, 1925. The first two are by Bob Clampett, and the third is by Chase Craig, later editor at Western Printing and Lithographing, and Carl Barks’s boss for a while. 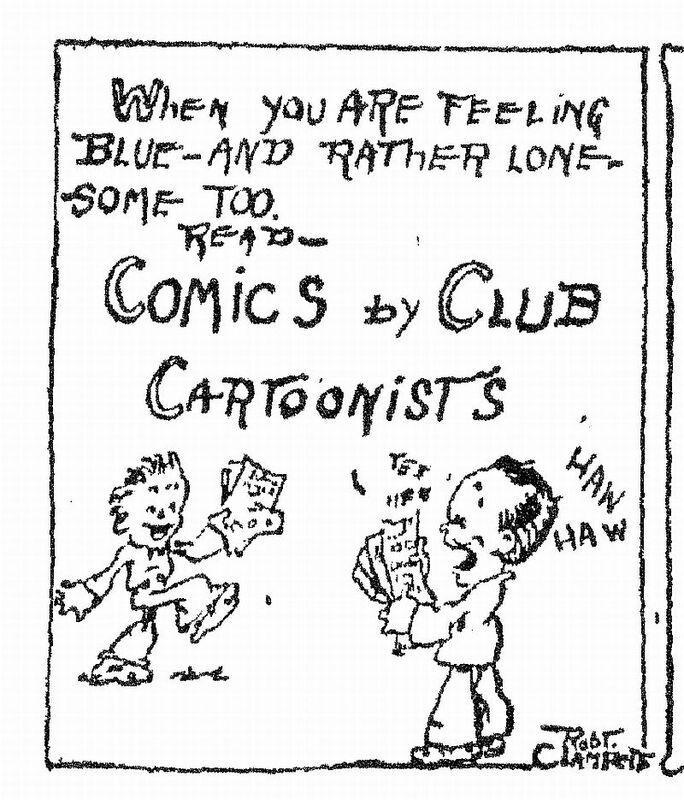 In the first one, Bob seems to be presenting a typical 1920s Harold Teen type, celebrating with the “gang” near the L.A. Times building downtown, in the second one, Bob is promoting the Junior Times “Comics by Club Cartoonists” page, and Chase Craig is doing the sort of one-world boosterism so typical of the L.A. Times all through the years. 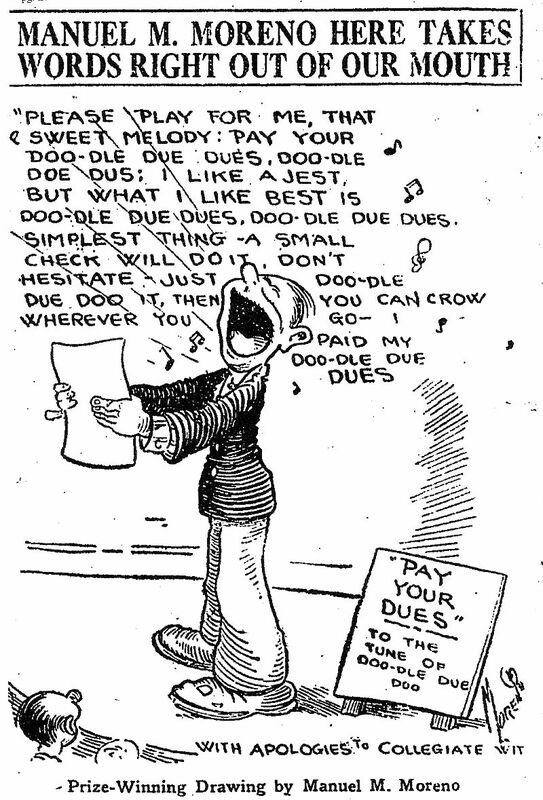 The talent latent in these kid cartoonists of the 1920s, continues to impress me. I hope to find more. 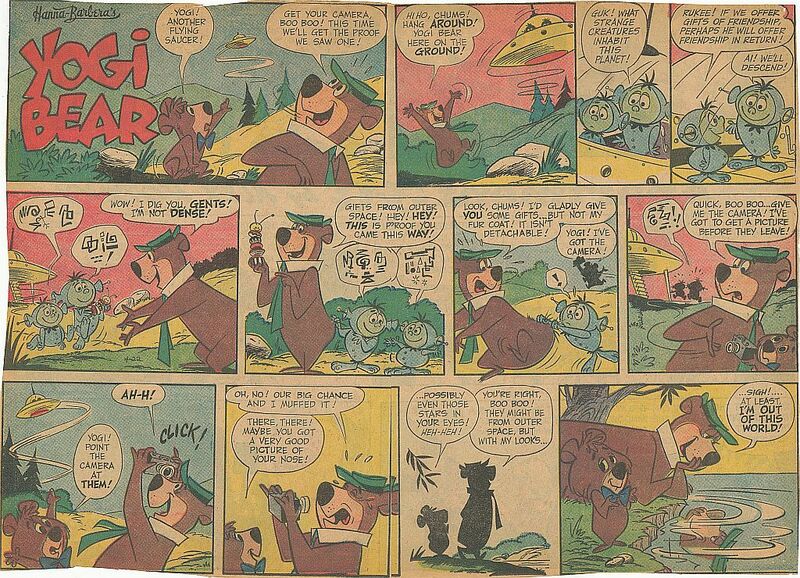 The crazy continuities continue in the Barker Bill strip from 3-21 to 4-2-1955. Puddy the Pup finds the missing Pom-Pom the performing Poodle, and she’s had a litter of pups! Puddy’s laryngitis keeps the suspense going for a while, will he speak in public or not? A new story starts April first, as a medicine showman appears selling “Whetwhistle’s Wonderful Elixir” made from the sap of the Boo-Boo tree. If the customer drinks the elixir, it makes him or her want to chew wood! I’m expecting Woody Woodpecker to get involved in this story somehow! In Felix from 7-1 to 7-7-1935, Felix finds the missing Danny Dooit by trailing the turtle that inadvertently kidnapped the boy. Felix rescues Danny from a rushing river, but both the Cat and the Kid are trapped by the horrible serpent vine in the 7-6. The Sunday page is full of kid antics as Bobby Dazzler trades blows with a bully, and Felix saves a boy from becoming obsessed with firearms, by giving him a bad dream. Winsor McCay continues as ghost-writer for Messmer, (strictly a fabrication). Glass-blowers, “chiggin”s, bread upon the waters and shoeless dogs inhabit the Coconino stage this time, from 5-12 to 5-17-1941. Speaking of stages, the lower third of the Krazy daily in 1941 is usually taken up by Herriman’s drawings of floorboards, footlights, prompter’s boxes and little staircases, implying that the desert cast is really doing their little gags for the reader on an ever-changing theater stage. 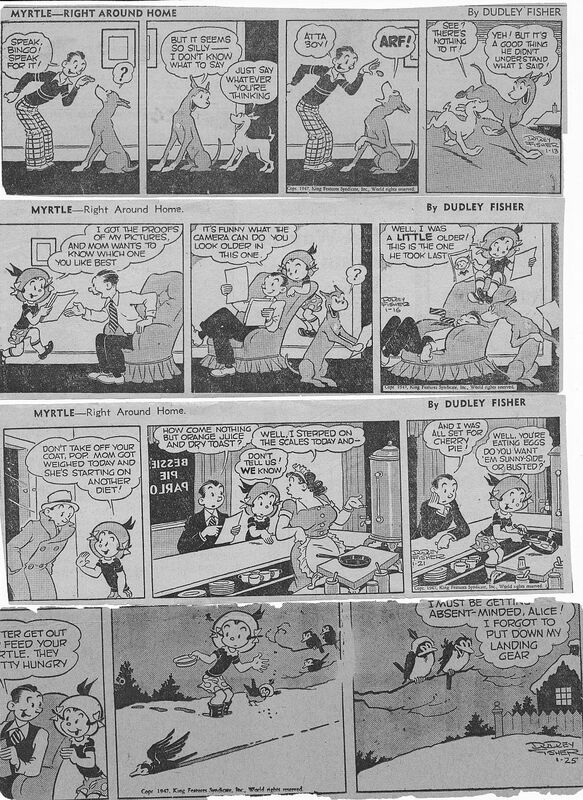 As 1940s newspapers continued to crowd daily strips on to a single page, the lower third of the strip was often cut-out to make room. Garge was being creative with that lower third, and using it as a stage was an expendable way to get around comic strip butchery, without sacrificing the gag. Patrick is from 3-13 to 3-18-1967 this time, and we continue to see the rise of Nathan to the starring position. He has three strips mostly to himself. Godfrey also tries to play baseball in a snowstorm, and Patrick thinks that St. Patrick’s day is named for him in the 3-17. Nathan proves ironically prophetic in the 3-18, as he thinks: “I hope the world can wait until tomorrow.” The St. Louis Post-Dispatch did not wait, but dropped “Patrick” after this strip was published. 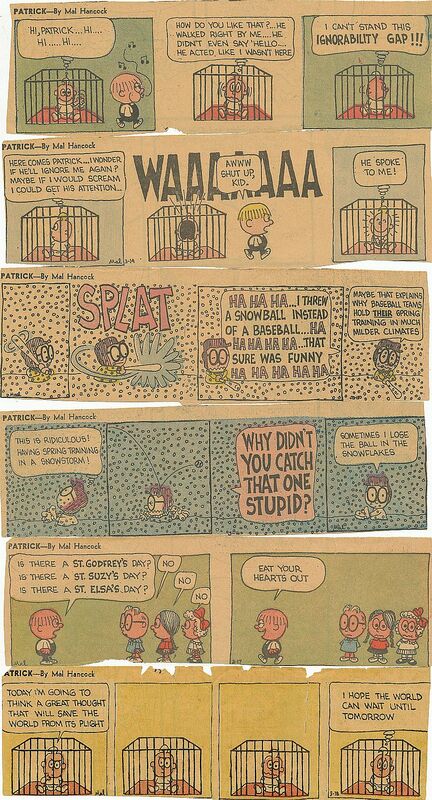 Next time I’ll be presenting another favorite kid strip, many years older than Patrick, by a fine cartoonist. 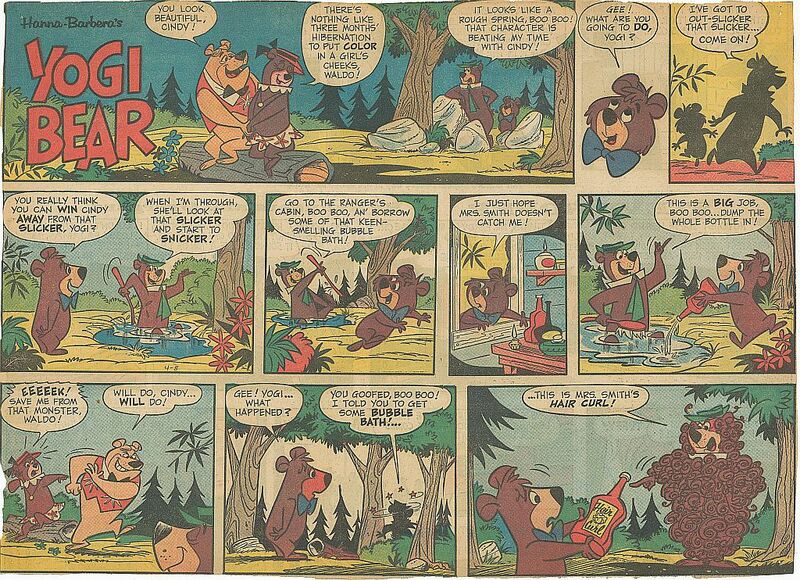 Yowp has put up black and white, edited versions of these four Yogi Bear Sunday Pages from 4-1, 8, 15 and 22-1962 on his blog. I, as usual, take the bait and post these four clippings from my collection to augment Yowp’s post. I am missing the strip from 4-29, you’ll have to visit Yowp’s blog to see it, just click the link over to the right side of the page. By the way, don’t forget to click the small images to enlarge them. A big tip of the Cat’s whiskers to Margo Burns of New Hampshire, who purchased a cel from Sc. 22 of “It’s ‘The Cat'”. You should have your cel and complimentary DVD of the cartoon by now, Margo. These cels are still a grand bargain, my readers, for the list price, you get free shipping, a free copy of the DVD, and the cel and (usually) the pencil drawing from which it was traced! It’s almost as good a deal as a membership in the Times Junior Club! Just go to http://www.itsthecat.com/Gallery-FilmArt.htm and find a cel that you like. Our new production can use the donation, and you will get a beautiful cel from the first cartoon that Greg Ford and I produced. If you want to contribute to our Paypal account, like our friend Bill Warren so generously did, just go to kausler@att.net over on Paypal, and contribute anything you can spare. If you contribute at least $200.00, you will receive screen credit on TMBSOC. Thanks, and keep reading!! You are currently browsing the Mark Kausler's CatBlog blog archives for April, 2012.